In conversations with pastors, that question comes up over and over. Everyone seems to be looking for the answer. Not many find it. Yet many of us struggle. Not from the lack of trying. We have Sunday School. Small groups. Within the Southern Baptist realm, we even have Discipleship Training. Beth Moore studies. Henry Blackaby studies. We have gotten pretty good at studies. Yet how many true disciples are developed through these programs? I’ve struggled just like everyone else. I’ve tried the programs. I’ve tried the Bible studies. I’ve preached multi-week sermon series on disciples. While I believe our people benefit from these studies and programs, I don’t see very many “take up the cross and follow Me” disciples developed by them. I’ve attended discipleship conferences. I’ve talked to many people who know much more on the subject than I. I’ve read many books on discipleship. I stumbled across one book that gave me a new look at discipleship. Using that book as a guide and reference, I developed a disciple-making process that got me much closer to the goal of making real Biblical disciples. That one book is Cultivating a Life for God: Multiplying Disciples Through Life Transformation Groups (amazon link), by Neil Cole. I was reading another of his books, Organic Church (amazon link). Part of Organic Chruch described Neil’s process of making disciples. In that section, he referenced another of his books, Cultivating a Life for God, where he said he went into much more detail on the process. So I bought it. Cultivating a Life for God talked about establishing, what Neil called, Life Transformation Groups. These are very small groups of two to three people. They’re actually what I would call accountability groups. In the book, Neil outlines how Life Transformation Groups work. There’s a set agenda. There’s accountability, Bible reading, and prayer. The groups are men only or women only. The goal is to get through the gathering in an hour to an hour and a half. Neil has several examples of agendas for the group to follow. He listed accountability questions and suggestions for Bible reading. The idea was intriguing. The more I thought about it the more I wanted to give it a try. So I asked a couple of guys from the church if they wanted to try something new. They were up for it, so we gave it a shot. I developed a series of questions, working from the questions suggested in the book. I added some that were relevant to my guys. I modified the Bible reading a bit. And we started. Our first group decided to meet in local restaurants at noon. We’d meet in McDonald’s, Wendy’s, and other locally owned places. The idea was not only to disciple but to give us opportunities to do some outreach. The group went good, Really good. But because of job changes and family emergencies, the group faded out after about six months. I did see some progress in those guys. Strong progress. But there were some things that should have been done differently. I’ll give my suggestions for changes later down the page. Our second group met on Wednesday nights. The ladies were doing studies on DVD. Our men met while they did their studies, using the same format as the first group. We just met at the church building instead. That group flourished. Men were becoming disciples. There was honesty and graceful confrontation. There was true accountability. Jesus was being sought and modeled. But after about eight months it stalled. There were reasons, and I’ll describe them later, as well. Here’s the heart of the agenda and the process. The Life Transformation Group Card. As you can see there are the “Getting Personal Questions.” These questions are really probing. They’re extremely personal. They’re used for accountability. Next is the “Bible Intake Questions.” There’s accountability built in here, too. The goal is to get into the Word of God consistently. In the initial group meeting, the goal was to introduce the guys to the agenda. As we went over the questions, there were quite a few eyebrows raised. Some fidgeting. I told them, “We’re going to look each other in the eye every week and we’re going to ask these hard questions. The goal is not to embarrass you but to support you. To help you to become a man who reflects Jesus in everything you do and in everything you think. To develop the mind of Christ.” I suggested reading the book of Ephesians in the next week. That was one chapter a day. And be done by our next gathering. The next week was pretty tense and I don’t know if everyone was truthful. But it was a start. After a month or so, I saw this group of men open up. Hearts bared. A few tears shed. Prayers made. The “Getting Personal Questions” soon became our time to really dig into our own hearts. One question after another became an opportunity for all of us to be open about our lives. It was blunt and honest. Behaviors began changing. Disciples began growing. The “Bible Intake Questions” opened the discussion for digging deeper into the Word. The next week’s Bible reading became highly anticipated and discussed. These men dug deeper than I imagined they would. So here’s a typical group gathering. We might have pizza or some snacks since many of the men had no chance to eat between getting off work and coming to the group. Then we would move into the questions. At first we started with the “Getting Personal Questions” followed by the “Bible Intake Questions.” But after a month we were spending so much time with the first set of questions we had to rush through the second. So we started alternating which questions we began with. Each man answered all of the Getting Personal Questions, discussing any struggles. The others encouraged, probed deeper, and, many times prayed. We then moved to the Bible Intake Questions. This always led to questions and discussions of the Word. We chased rabbits when it seemed appropriate. We then moved into a time of prayer after taking specific prayer requests. The agreement was no “My aunt Mary broke her fingernail” prayer requests. The prayer requests were detailed and specific. Then we prayed, giving every man an opportunity to pray during that time. We finished with deciding the Bible reading the next week. We normally stayed with the Epistles, since the reading every chapter fit into a week. Then we dismissed. Many times the men hung out with each other another 15-30 minutes, just talking and building on those relationships. These Life Transformation Groups were the closest I’ve come to seeing true disciples being made. I saw real growth in these men. I saw lives changed for the better. I saw the Bible being opened, deeply read, and followed. It was exhilarating to participate in. 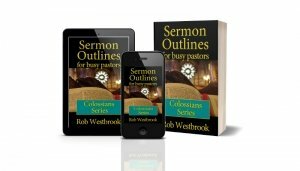 Looking for Sermon Series Ideas for 2019? In Neil’s book, he suggested that there should be a limit of two people per group. Basically one-on-one discipleship. He said when a third person is added plans should be to start another group, with the first person you started with leading the new one. I didn’t do that. I started with at least five men in each group. Both grew. The second grew to ten to twelve people. I thought it would be better with more. But looking back, I should have stuck to Neil’s plan, at least no more than four or five. The more people we added, the more we got bogged down with the questions. We were always rushing. And we lost the intimacy of the small numbers. In both groups, that was the primary downfall. We lost what we had at first. The second thing I would do differently is related to the first. To start new groups you need new group leaders. I led both groups. I was the pastor so I was expected to lead. When there came a time when we should have split into another group, I didn’t have anyone ready to lead that group. Doing it again, I would start from the first session stressing to everyone that you are expected to lead the next group. I would repeat it strongly and often. I would build it into the DNA of the group. I would share the leading of the group with others. I would eventually take myself out of the leadership role. Then I could be the one to lead the beginning of the next group. One other thing I would do would be to start a women’s group also. I would find my strongest lady and lay out the agenda and how to lead through the process. Maybe come up with different questions that relate more to women. I believe in this process. I believe it is closer to how Jesus discipled the apostles. I think with the right tweaks, this could have a multiplying effect within our churches. With the right, enthusiastic leaders, it could cross church boundaries. It could be used at work during lunch break. It could be used with neighbors. It’s not a perfect template. But it does seem more effective than some of the other plans I’ve tried. I believe it’s a large step in the right direction of making real, Biblical disciples of Jesus Christ. What are your thoughts? What has proven effective for you? I have just joined and wish to say this is worth belonging to.My personal life as a believer will never be the same in terms of growth as well as the spiritual growth of the people I pastor due to a wealth of rich information on this blog.What a blessing to have !